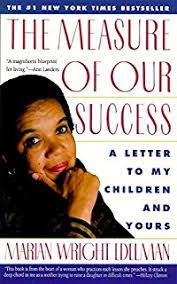 Marian Wright Edelman, founder of the Children's Defense Fund, has an article I'd like to spread far and wide called "Standing Up for Children." She reminds us that when God wants something done on earth, it doesn't happen through "battles and elections and earthquakes and thunderbolts" but God "simply has a tiny baby born, perhaps of a very humble home, perhaps of a very humble mother." I still recall going to Cuernavaca, Mexico in the early days of Liberation Theology. I met several mothers living in dire poverty. They could intimately identify with the infancy story of Jesus. They were some of the most humble people I have ever met. Their children were born in humble surroundings, not exactly a stable; more like a cardboard shack. 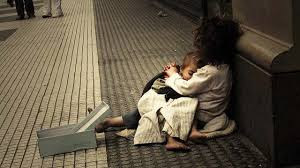 Marian makes clear that the problems we visit on our children are adult problems: war; poverty and unequal economic opportunity; physical and sexual abuse; childhood neglect; racial, ethnic, religious and class division. If we really endeavored to solve these adult problems, one way of starting would be with loving, respecting and protecting children. If we were to do that, we would have a great beginning to solving all of our adult problems. Wright-Edelman believes the litmus test of our humanity in today's world, is whether we will protect the world's children, all of them, from our adult problems. Some people are trying. David Deutchman is a "baby buddy." 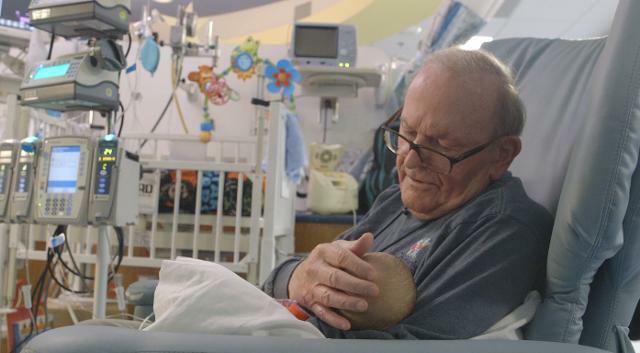 He visits the hospital on a regular basis to hold and cuddle premature infants. Some of them have parents who live far away. Other parents are trying desperately to keep working and earning so they can pay the hospital bills and can only be present occasionally. But Deutchman doesn't just do it for the parents. He does it for the babies. You can watch this Georgia grandfather on You Tube as he sings "You Are My Sunshine" to an infant. He says some of his buddies don't understand why he does this, especially as he sometimes gets puked and peed on. "They just don't get it." There's the rub! Too many men don't know what it's like to hold an infant in their arms. Some men, who make decisions about war and peace, who have a lack of confidence in their own masculinity, should have to hold an infant at least twice a day (under supervision, of course). This might help us avoid so much fire and fury in our world, as we realize children are the ultimate victims of all of our violence. Then there's the Witchita public school teacher who greets her students each day with an individual handshake. Although it's not just a handshake. Each student has a unique set of fist pumps, foot movements, etc. All of them end with a hug. The last student in line and the teacher actually do a quick dance. How the teacher remembers all those movements with each student is beyond me, as it often takes me several class sessions to just remember names. This video has gone viral on face book with over 32 million views. It's a wonderful sample of how one might recognize and respect each child in a school setting. Maybe you've heard of the children and young people suing the U.S. government for a stable climate. 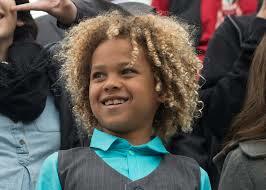 They include nine year old Levi Draheim. He expects his barrier island on Florida's Atlantic coast to be submerged by rising seas. He started an environmental club as a fourth grader and gives talks about climate change for adults. Then there's the lead lawyer in the case, Julia Olson. She first became involved in issues of climate change when she was eight months pregnant with her youngest child. "There is something about carrying life inside your body that is transformative and gives you a different kind of perspective on the world," she says. That's when she founded Our Children's Trust. The organization is dedicated to protecting children from the effects of climate change. The Trust helped the 21 young plaintiffs bring their case against the federal government. Marian Wright-Edelman closes her "Standing Up for Children" with a prayer. It's called "A Prayer to the God of All Children." All is the defining word here. It includes the children of Afghanistan and Iraq, as well as Chicago and Sandy Hook, It includes the children of every color and language. It includes children who are healthy and in pain; children who are wealthy and in poverty; children of war and children of peace. I shared the prayer at the end of my sermon last Sunday. But reading it out loud I stumbled and stammered because it was hard to read the printed page through my tears. The last line of the first stanza touched me deeply. "Help me to love and respect and act now to protect them all." The tears came because I realized I had just mentioned the children of Sandy Hook, and they were gone. We did not protect them and so many others. And one has to wonder whether we will act to protect children now; from the next school shooting, from fire and fury, from the violence of an adult world.